The world of ICT was once a male-dominated environment, but the landscape has changed significantly over the years. Telecom Review aims to celebrate that diversity - and the shifting of demographics in the telecommunications industry by conducting a special series of interviews entitled 'Women in ICT'. 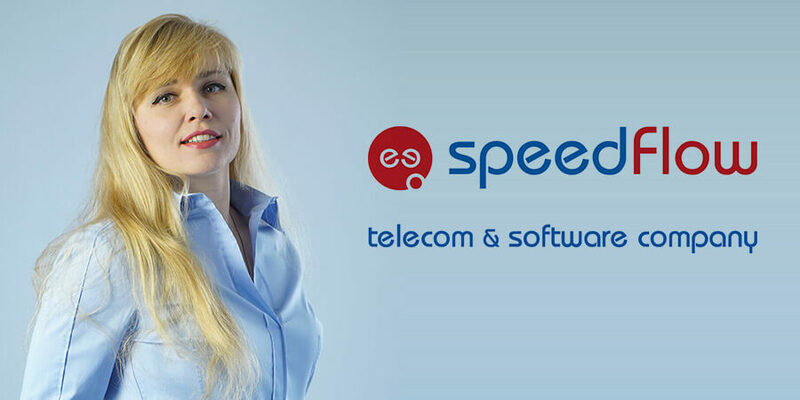 In today's interview we speak to Natalia Ellis, chief financial officer at Speedflow Communications. Natalia Ellis has forged a stellar reputation for being one of the most prominent and successful female executives within the ICT industry after 14 successful years as CFO of Speedflow Communications. She has been a champion and pioneer of the empowerment of women in male-dominated industries, and continues to serve as a great inspiration for those attempting to break through the 'glass ceiling'. Telecom Review managed to secure an exclusive interview with Ellis at the Mediterranean Telecoms Exchange (MTX) event in Rome. In a fascinating, insightful and engaging interview, the dynamic CFO highlighted the importance and unique opportunities presented by attending MTX, her roles and responsibilities at Speedflow Communications, the company's move from Ukraine to Bulgaria, and gender equality in the workplace. MTX is now in its third year. How important is it for Speed-Flow Communications to have visibility at MTX event and what value/benefits does it provide for your company? Speedflow Communications has attended the MTX conference from the very beginning. It represents a brilliant opportunity for us to see all of the European partners we work with, and it also provides us with the chance to network and meet potential new partners in the wholesale space. MTX is the perfect platform for industry leaders within the wholesale segment to discuss all the current trends, opportunities and challenges within the sector. Italy is a very interesting country, and business develops here very quickly. The Italians are always proactively exploring new opportunities, and I think they're very creative people. The other appealing aspect of MTX for us is by networking with players from the local market and other European countries - you're able to identify, determine and pinpoint what the next trend within the industry will be, which allows you to create new business strategies and targets. At MTX, you see the full range of services on offer within the wholesale space and this is a unique component of MTX which isn't replicated elsewhere within the ICT industry space in relation to wholesale events and conferences. The beauty of MTX is that you're in the one room for the entire day, and you're able to return to the same subject with the same people throughout the course of the day, but you're approaching the subject from different aspects - and it results in much richer insights, relationship development and understanding. At other larger conferences you're running from floor-to-floor and are pressed for time, so that limits the quality of your interactions with partners and prospective clients. MTX is held in a casual setting where all the players you want to speak to in relation to exchanging ideas and determining new trends are all under the one roof in one room, and this ultimately allows you to be more creative, and provides you with a better understanding and knowledge of all the challenges, opportunities and trends within the European and international wholesale sector. You were in attendance at the panel discussion which examined the impact of next generation technologies on the telecoms landscape from internet of things to smart Cities. Can you share with us what you found to be some of the most interesting insights that emerged from the panel discussion? I found the panel discussion to be very interesting, and some of the insights that emerged in relation to the internet of things and the development of smart cities were fascinating. There were a perfect blend and balance on the panel in terms of the diversity of the experiences the panelists had in the ICT sector. I think next year, MTX is planning to hold three panel discussions, and I think this is a great idea and will help strengthen the overall MTX event. It's a very important element within an event like MTX to have engaging panel discussions that are directly related to the industry. It provokes rich conversations and leads to the creation of new ideas, and this is obviously beneficial for all in attendance. So, I think by extending the panel discussions next year, this will solidify and enhance the reputation MTX has as one of the leading wholesale events in Europe. Can you outline to us your primary roles and responsibilities as the CFO of Speed-Flow Communications? My main target and my primary responsibilities as CFO of Speedflow Communications are to meet my business partners on a regular basis in order to determine what their future plans are in relation to their overall business development objectives. It's my task to understand what their plan and vision are, and this is very important because without a clear strategy and plan, there is simply no future. It's also critically important for us to convey our strategic plans and vision to our partners so they can find new business opportunities with us in the long-term. So it is a two-way street, but we've established ourselves in the last 15 years as a trusted brand that delivers innovative solutions and services within the wholesale market, and we're very confident that we can continue to expand and grow moving forward in the future. We're set to commence on a number of new projects and are actively enhancing our product portfolio in an effort to solidify our position as a market leader in voice-over-internet services for international telecom operators. Since 2004, SpeedFlow Communications has established itself as a leading provider for customized billing software and voice over internet protocol services for international telecoms companies. Has the decision to move operations to Bulgaria been a success for the company, and what are the biggest challenges you face in the wholesale space? Our decision to move operations to Bulgaria has been a resounding success. It has proved to be a great move for our enterprise and we've created a really strong team that consists of very experienced personnel. I think managing that move to Bulgaria was one of our biggest challenges, but it was something we executed successfully. Our biggest office was in Ukraine, and we've still got an office in London, but we moved the majority of our operations to Bulgaria. It was a big move, but one that as I've already said has been a massive success for us thus far. Our initial task was to create a strong team and make the transition from the Ukraine to Bulgaria as seamless as possible, and the move has enabled us to create a whole host of new opportunities for the business that we wouldn't have had access to if we remained outside of the EU. The EU is a very unique community that is comprised of different countries with different mentalities, but that shares the one idea in relation to allowing cross-trade without any borders. This idea is fantastic, and the removal of trade barriers and regulations within the EU allows those within the community to trade more openly and easier with other countries. I can speak from experience having been based outside of the EU when we were in the Ukraine, and the business opportunities of being in the EU are monumental. We've got access to new opportunities and a much, much larger market, so we've now been presented with the opportunity to showcase our products and solutions to a whole new raft of prospective partners. The telecommunications industry has traditionally been a male-dominated environment. However, you're one of the top female executives in the ICT industry and have previously spoken about the importance of empowering women in male-dominated industries. How important is it to have gender equality in the ICT sector? I believe that in today's society, a man and a woman are afforded equal opportunities. I never felt throughout my career that men dominated, and I never felt that because I was a woman, I was at a disadvantage. I actually feel that women can adapt to a much wider range of roles within business than men because of our ability to utilize our feelings as well as our logic when making decisions. I think we have the ability to use our intuition and our internal feelings. Sometimes this is right, and other times it isn't, but these traits still provide us with a wider range of skills to reach success in our career. In our company we've got a 50/50 breakdown in relation to our employee demographics between men and women. However, that's not some sort of special policy we've implemented to meet gender equality. It's not our priority to balance our workforce; our target is to find the best people for the specific jobs within our company. The reason I feel that it's 50/50 within our company is because women are now afforded the same employment opportunities as men regardless of the industry. So to conclude, I believe that today, women have the same opportunities as men because they can apply for any position within any industry, and they don't hesitate to ask questions or to challenge men within the work environment. They've got no fear. Equal employment opportunities for women didn't exist 50 years ago, but I firmly believe that today we're on an equal footing, and in many instances have access to even more opportunities.